Modern vehicles are required to be equipped with a Tire Pressure Monitoring System (TPMS). There are two types of TPMS – Direct and Indirect. A direct TPMS sends data from a sensor inside the tire assembly to the car’s computer when the tire pressure drops to 25% below the car manufacturer-recommended level. Indirect TPMS uses the ABS (Anti-Lock Braking System) to measure tire pressure and send the data to the car’s computer. Do you know which system your car uses? The differences in the system components are significant. At Certified Auto Repair, we can properly diagnose TPMS issues, explain them in detail and resolve them accurately. Tire pressure is key to vehicle safety, tire life, fuel economy and brake system stress. Let us make sure your sensors, wiring and computer are keeping an eye on your tires. If your car’s warning you about low tire pressure, come to us and let our ASE Certified technicians restore your tire pressure to its recommended levels. We’re open on weekends and into the evenings so that you won’t have to shuffle your life around our work. We offer our customers free shuttle service and loaner cars. For most of the year, your TPMS is nothing more than an afterthought. Every time it reminds you a tire is low, it is also subtly reminding you of how it quietly keeps you safe every time you drive. 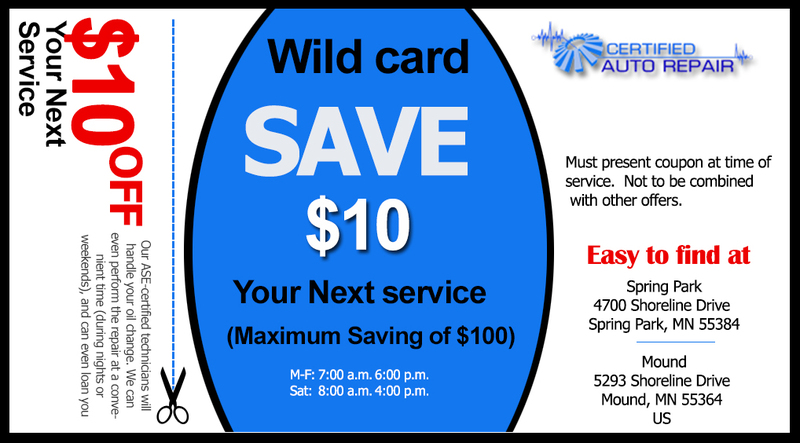 Take good care of this system at Certified Auto Repair, and it’ll take care of you. .